It is shocking to learn that Jharkhand Government has decided to reduce the number of weekly eggs in school midday meals from three to two. Earlier, the government allotted Rs 4 per egg. With increase in price of eggs, it has revised the allotment to Rs 6 per egg. But instead of increasing the total budget commensurately with the inflation in cost of eggs, the government has decided to serve one less egg per child per week. 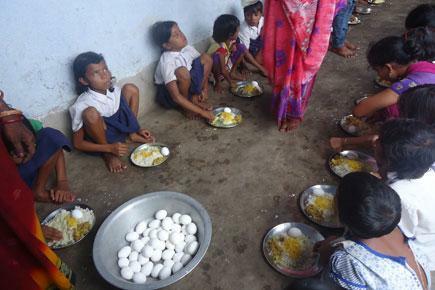 Introduction of eggs in schools, and later in Anganwadis, is one of the few noteworthy steps taken by Jharkhand Government to improve child nutrition in the state. Jharkhand’s children are amongst the most malnourished in the country. According to the National Family Health Survey 4 conducted in 2015-16, 35.8 per cent children were underweight across the country. In Jharkhand, the corresponding ratio was as high as 47.8 per cent. Eggs are safe, affordable, tasty and an excellent source of protein and other nutrients for growing children. By now, eggs are served across 12 states of the country. Andhra Pradesh and Tamil Nadu serve as many as five eggs per week. Right to Food Campaign Jharkhand is also concerned with the centralised contract for supply of eggs in Anganwadis. The current arrangement is a centralised contract to “Kisan Poultry Farms” (KPF), based in Tamil Nadu. It emerges that Kisan Poultry Farms is a very shady entity. In fact, it is a shell company of Christy Friedgram Industry, which is being investigated for large-scale fraud in similar ICDS-related contracts in Tamil Nadu. In Karnataka, too, Christy Friedgram Industry has been blacklisted and there is a pending case by the Lok Ayukta in the Supreme Court. The contract stipulates that KPF should arrange for good-quality eggs to be delivered to Anganwadis at their doorsteps. However, the Campaign has observed in different parts of Jharkhand that: (1) many eggs are rotten, (2) delivery is not regular, and (3) eggs are not delivered at the doorsteps of Anganwadis, instead Anganwadi workers have to collect the eggs from a distance. The Campaign has sent the attached letter to the Chief Minister on this issue. The Campaign demands that instead of reducing the number of eggs in midday meals, the state government increases their quantity to six per week. It also demands the termination of the centralised contract for eggs in Anganwadis and its replacement with the supply arrangement for midday meals. For further information, please contact Asharfi Nand Prasad, Convenor Right to Food Campaign Jharkhand at 9334463332 or rtfcjharkhand@gmail.com.